This cute little mock-neck swing dress is a perfect little transitional summer to fall dress. Like all J.Jill pieces, it’s high quality, with a blend of classic wearability and trendy styling. Of course, it’s versatile as well … won’t it be adorable for the dress-over-pants trend? And for sure I’ll be wearing it with tights, boots, and a cardigan when the weather cools. So, I decided to try the tall sizing from J.Jill for a change, and I think that’s it’s actually a bit big on me. I don’t think I’m as tall as I think I am! Hee! (I’m 5’7″ by the way). Usually I wear the XS Misses size, and this is a ST (Small Tall, no XS in Tall sizes). Remember that J.Jill runs big, so be sure to size down when you order! How is your fall wardrobe transition coming along? 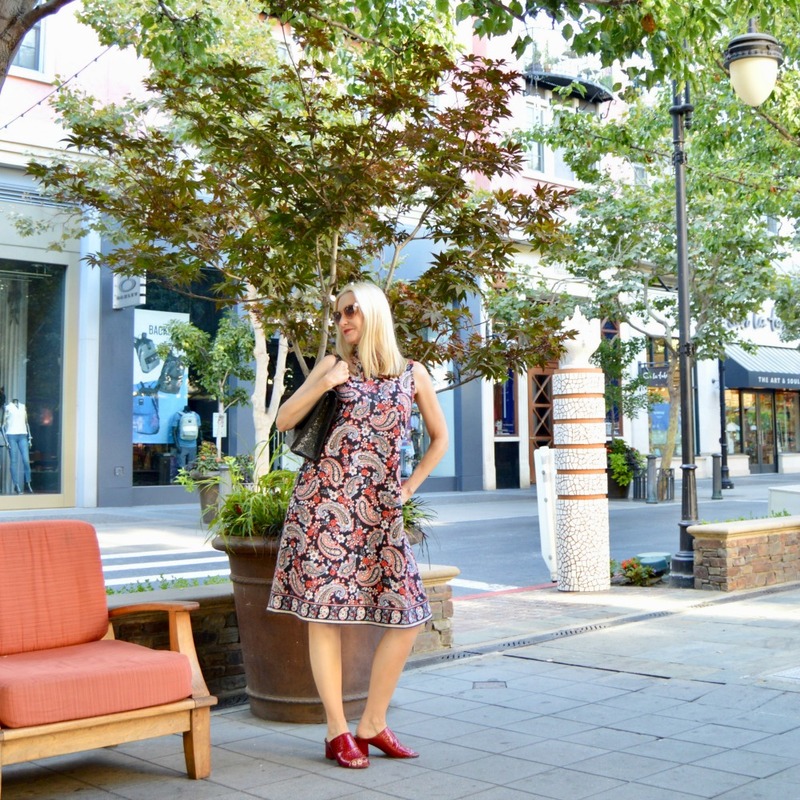 Be sure to check out Lynn Ritchie for fall, as well as Karina Dresses’ new Harvest Floral print, and this other pretty J.Jill dress! Lovely photo and styling! I have the same dress and found it very versitile–it can be changed up for work and casual. I have been enjoying your blog and style. Flawless look! That dress is cute!! Love the style and pattern Dawn! I can totally see this with knee high boots and a cardi for fall.